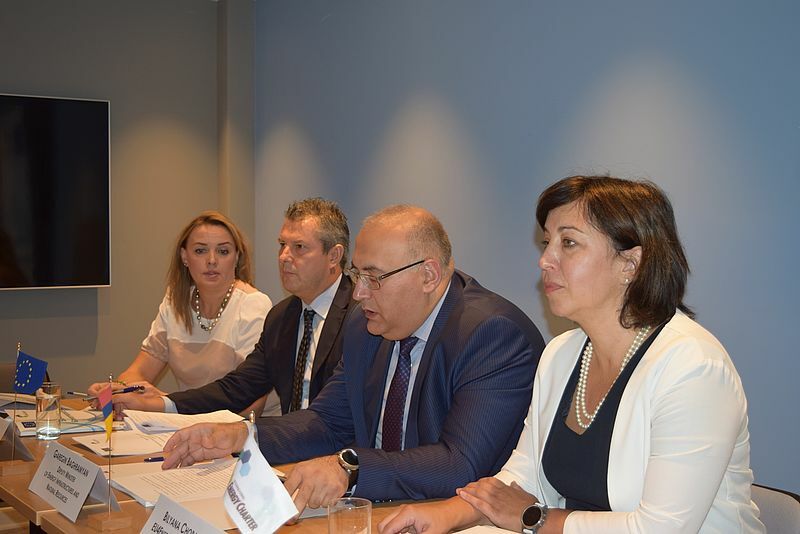 On 13 September, the Energy Charter Secretariat, together with the Ministry of Energy Infrastructures and Natural Resources of the Republic of Armenia and the EU Delegation to Armenia, organised a communication workshop in the Armenian capital of Yerevan. The main goal of the workshop was to develop a code of good practices for stakeholder consultations and inter-ministerial coordination in the energy field. The event was organised as part of the EU’s assistance to Armenia through the EU4Energy programme. In some respects, Armenia has already had some successes in terms of stakeholder participation in the policymaking process. An online digital platform, www.e-draft.am was designed for public commentary on draft policies and has already registered nearly 20,000 members since its creation last year. However, there is still more that can be done to improve stakeholder consultation in Armenia. For instance, one of the recommendations at the event was for the Ministry of Energy to organise regular sessions with representatives of public institutions, experts, NGOs and the business community. Another recommendation is to include stakeholders in the process of drafting new policies and legislation from scratch. The final outcome of the EU4Energy event will be a proposed code of good practice for stakeholder communication and consultation in Armenia’s energy sector. The application of the recommendation will contribute to the creation of more accountable, open and transparent governance. It will also foster a less risky and more predictable legal and regulatory environment for attracting investments in the energy sector, including in energy efficiency and renewable energy sources, which are two areas the Government of Armenia has previously considered as priorities for development. The event is part of the EU4Energy Programme of the European Union. The Energy Charter Secretariat is an implementing partner responsible for delivering technical assistance to Armenia, Azerbaijan and Belarus.